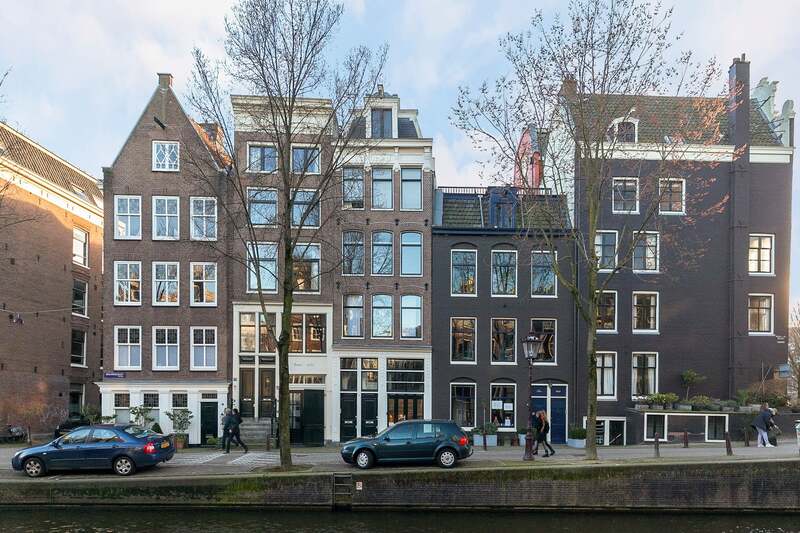 For rent, this recently partly renovated unfurnished, one bedroom apartment, in a great location in the middle of the Jordaan. The Jordaan is well- known for the many nice shops, boutiques, galleries, cafes and restaurants. The Westerstraat and Lindengracht, but also the Marnix-bad, the Nine Streets, the Haarlemmerstraat/ dijk and the Westerpark are within walking distance. In 2007 the Brouwersgracht was voted the most beautiful canal in Amsterdam by the readers of “Het Parool, a daily Amsterdam newspaper. From the apartment you have a great view over the water, the boats and characteristic canal houses. Within 5 minutes walking, Central Station can be reached. From here you can get anywhere in no time with the train, but also with the new North/ South metro-line. The apartment is located on the first floor of a well-maintained building, and has a private entrance from the street. From the living room at the front side of the apartment one has a beautiful view over the Brouwersgracht. The bedroom and bathroom are located on the quiet backside of the apartment. The bedroom is 11m2 big, and the bathroom is equipped with a bath, shower, sink and toilet. - Deposit: 2 months rent.